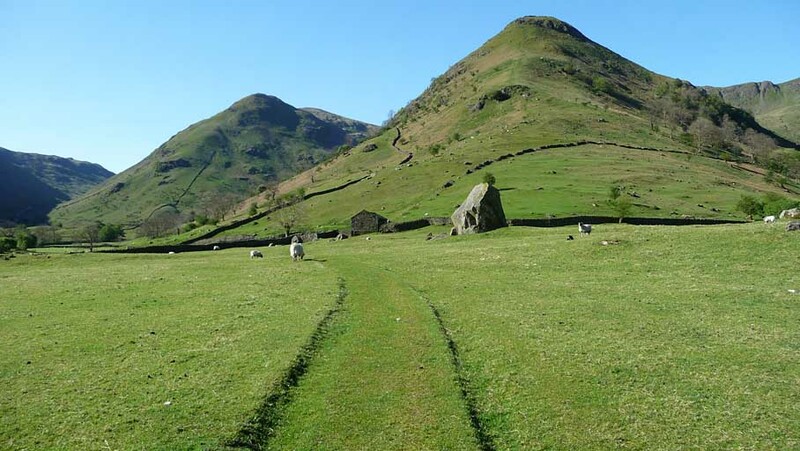 Middle Dodd is left of centre and High Hartsop Dodd to the right. The farm building in the centre is the one mentioned in the walk text. The kissing gate is to the left of it. Smaller version of this picture.